Long-term care can be provided in a variety of settings, as explained below, and many people use the full range of services as needs increase. Families are often shocked to find out how much long-term care can cost, especially when they learn that Medicare benefits are limited for these services. Unless the person has long-term care insurance, they will likely pay for this care out-of-pocket—from savings, home equity and, often, other family members’ assets. Knowing the kinds of services available, current costs and historical rates of cost increases can help us plan for future costs of long-term care. Homemaker Services: These include help with “hands off” care such as cooking, cleaning, running errands and providing companionship. The national median hourly rate for 2016 is $20, up 2.56% from 2015—more than the average increase of 2.13% over the last five years. Home Health Aide Services: This is “hand-on” personal care for which a skilled nurse does not need to be present. A home health aide will typically help with bathing, dressing, transferring and toileting. The national median hourly rate for 2016 is $20 ($3,813 per month, based on 44 hours of care per week), up 1.25% since 2015—slightly less than the average increase of 1.28% over the last five years. Adult Day Health Care: These community-based facilities provide social and support services in a protective setting for those who are functionally and/or severely cognitively impaired, helping the individuals live more independently in the community and giving relief to caregivers. Most are designed to offer socialization, supervision and structured activities. Some provide personal care, transportation, medical management and meals. The national median daily rate is $68 ($1,473 per month, based on five days per week). This is a decrease of 1.25% from 2015 costs, but the average increase has been 2.53% over the last five years. Government subsidies may be available based on ability to pay. 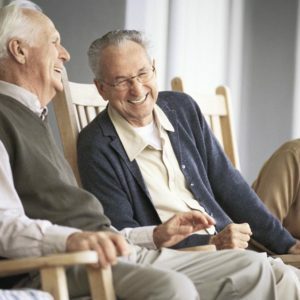 Assisted Living Facilities: These residential facilities provide personal care, health services, and room and board, but the level of care may not be as extensive as that of a nursing home. Both small group homes and large multi-service facilities qualified as assisted living facilities for purposes of this survey. The national median monthly rate is $3,628, up .78% from 2015, with an average increase of 2.16% over the last five years. Nursing Home Care: These facilities often have a higher level of supervision and care than assisted living facilities, with personal care assistance, room and board, medication, therapies and rehabilitation, and 24-hour on-site nursing care. The national median daily rate for a semi-private room is $225 ($6,843 per month), up 2.27% since 2015, with an average increase of 3.12% over the last five years. National median daily rate for a private room is $253 ($7,695 per month), up 1.24% since 2015, with an average increase of 3.51% over the last five years. * Surveys are conducted by CareScout, a Genworth company. CareScout created the nation’s first quality of care ratings system for certified nursing home and home care providers, and helps families find quality care providers for their long-term care needs. For more information, visit CareScout.com.